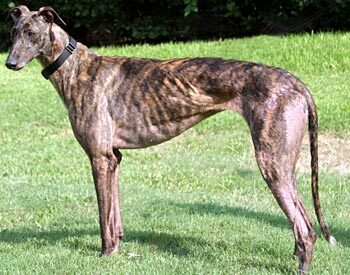 Macy Rose is a beautiful, 3-year-old dark brindle female born August 12, 2005. Her sire is Trojan Cruze and her dam is CJ Highbrow Sis. Rose's racing career started on May 20, 2007, in Dubuque, Iowa, moving after two races to Jefferson County Track in Monticello, FL, where she raced from September 15, 2007, to her final race on April 19, 2008. 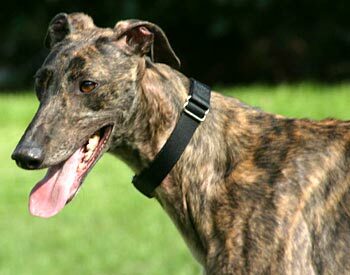 When she arrived, Macy Rose tested positive to Ehrlichia. She was under the care of Dr. Jeff Ellis and Dr. Christy Soileau of VCA Preston Park Animal Hospital, and has completed her treatment. 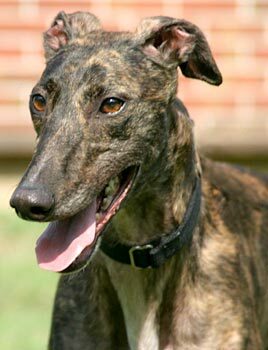 To insure the treatment was successful, Dr. Jeff Ellis submitted a PCR (Polymerase Chain Reaction) panel to North Carolina State University College of Veterinary Medicine lab to determine if the Ehrlichia is active, and the results are now negative. It is not known at this time if Macy Rose is cat or small animal tolerant.